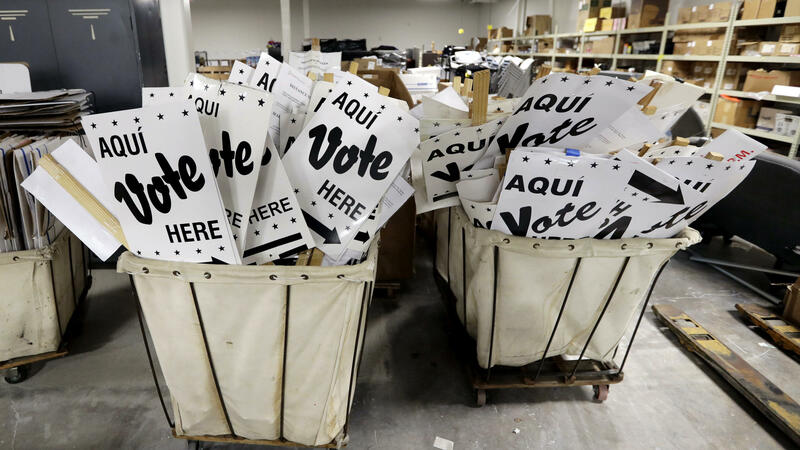 Bins of signs are seen at an election office in San Antonio, Texas. The first primaries of the 2018 elections are less than a month away, and the Department of Homeland Security held a classified briefing last week to further explain voter system threats to election directors and secretaries of state. The four-day annual meeting of the National Association of Secretaries of State, which featured a new classified briefing from national intelligence officials, came at the end of an extraordinary week. On Tuesday, the nation's top intelligence officials told Congress to expect Russian interference in the upcoming midterm elections and beyond. Three days later, the Justice Department's special counsel, Robert Mueller, filed an indictment against 13 Russians, which laid out in granular detail the size, scope, and complexity of a covert Russian disinformation campaign in 2016. "I think people understand that the threat is real and that it's not going away," said Secretary Connie Lawson of Indiana. 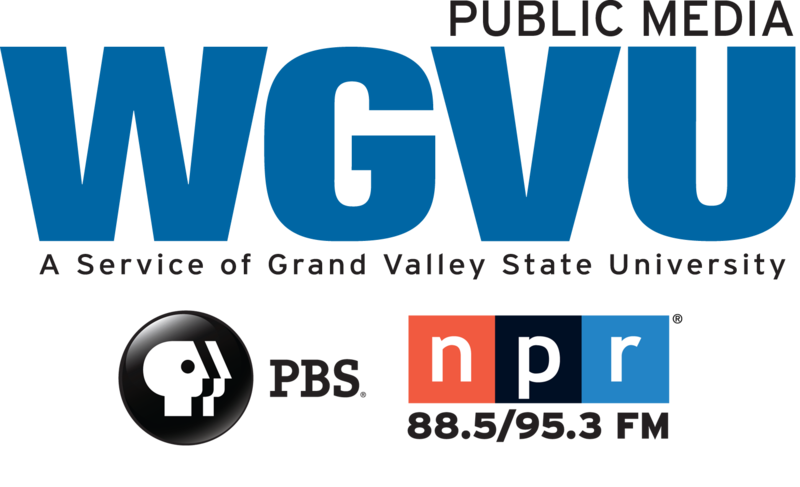 "We've always seen security of our voting systems as a priority, it's just become a heightened priority — I think our biggest concern is that the voters understand that, so they'll have confidence in the election system." Although the Mueller indictment did indicate that the Russian goal at a certain point became to propel Trump to the presidency, it highlighted that sowing polarization and feeding a general lack of faith in the democratic process was also important to the Russian operatives. "Those who weren't already thinking about that issue, sure are thinking about it now," said Secretary Simon. The National Association of Secretaries of State vehemently opposed then-Homeland Security Secretary Jeh Johnson's decision to designate election systems as "critical infrastructure" last year, fearing that it was a step toward the federal government exercising more control over the voting process. This weekend, national intelligence officials gave a classified briefing to the secretaries about "increasing awareness of foreign adversary intent and capabilities against the states' election infrastructure," according to a joint statement from the FBI, DHS and the director of the Office of National Intelligence. "I do think the biggest lesson learned from DHS and the federal government in 2016 is that it's not helpful to pass the information down if you're passing it down to the wrong people," said Maggie Toulouse Oliver, the secretary of state of New Mexico, who said that communications with the federal government are drastically improved. "We got some new information that was interesting. Did it change the course of what we were going to do or not do [in 2018]? No," said Michele Reagan, Arizona's secretary of state, as reported by The Washington Post. David Becker, the executive director of the Center for Election Innovation and Research, said he heard from some secretaries that "there was some frustration that some of the information wasn't really new to them, and [intelligence officials] didn't share some information that [the secretaries] really wanted to get deeper on." "And I'm hoping those kinks get worked out," Becker said. "They need information, both to patch threats and to share it with the electorate." "I've seen a real change," said Simon, Minnesota's top election officer. "I give the Department high marks for understanding the weakness in their initial approach and doing a course correction." The midterm elections might seem far off, but not really. Early voting in primaries started yesterday in Texas. And election officials from around the country are trying to figure out how to prevent more interference from Russia or anyone else, for that matter. They were in Washington, D.C., this week talking about it. Here's NPR's Miles Parks. MILES PARKS, BYLINE: Steve Simon is Minnesota's secretary of state. Just like everyone else who runs elections, voting security in 2018 is a delicate balance for him. STEVE SIMON: I'm always trying to straddle the line between sounding the alarm on this issue and being alarmist. PARKS: Not sounding alarmist is tough when top intelligence officials are giving warnings like the one Director of National Intelligence Dan Coats gave the Senate last week. DAN COATS: There should be no doubt that Russia perceived its past efforts as successful and views the 2018 U.S. midterm elections as a potential target for Russian influence operations. SIMON: Those who weren't already thinking about that issue sure are thinking about it now. MAGGIE TOULOUSE OLIVER: It's not helpful to pass the information down if you're passing it down to the wrong folks. PARKS: Since then, the federal government has been trying to smooth things over. DHS Secretary Kirstjen Nielsen talked about election security with the president and vice president on Tuesday. Her department is trying to get security clearances for election officials in every state, and this weekend, those officials got a classified intelligence briefing about threats to the upcoming election. But many, including West Virginia's Mac Warner, were left hoping for more information. MAC WARNER: If we lose the trust of the American people because we're not open with them, if one person stays away from the polls, if one person chooses not to register because they're afraid their information's going to be hacked, then the Russians start winning. And if it gains any momentum, then that ship goes down regardless of how secure we are. PARKS: He says if people lose confidence that their votes will count, then having accurate, secure elections is the equivalent of rearranging deck chairs on the Titanic. (SOUNDBITE OF FLOEX'S "FORGET-ME-NOT") Transcript provided by NPR, Copyright NPR.